We at New Hope take pride in educating our staff and patients on the latest technology and innovations. 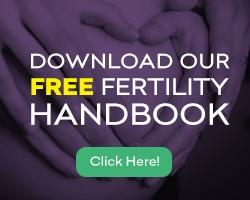 Here you will find a wide variety of resources at your disposal for both current and potential patients to become better acquainted with the infertility world. 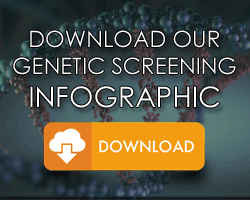 Learn about the history of IVF, watch patient testimonials, and even read our collection of published papers. We also invite you to take part in our social media discussions and catch up on our latest blog posts. If you are someone who is interested in incorporating a holistic method into your treatment, we also offer options for local acupuncturists, yoga instructors, nutritionists, and support groups. Patients come first at New Hope. We strive to provide the best fertility care, from maintaining the highest medical, scientific and academic standards, to supporting you through every stage of your journey to parenthood. One of the most important things to know about New Hope Fertility care is that we custom design our fertility treatments to the individual. Each person’s unique protocol is specially designed to ensure the patient is receiving the highest quality care at the most optimal times for their body. We achieve this through blood testing and constant monitoring. Our treatments at New Hope offer minimal stimulation and result in a gentler and more physiologically supportive experience. With a Conventional IVF cycle, numerous shots and medications simultaneously shut down the body’s naturally occurring fertility system and create an artificial one, allowing the ovaries to create many eggs. Our Mini-IVF™ and Natural Cycle IVF protocols allow us to learn about your body so that we can help you augment and enhance your own, naturally occurring fertility. New Hope diligently monitors and adjusts treatment protocols to nurture your body’s highest quality eggs, allowing for high IVF success rates with Single Embryo Transfer. Our advanced technique for cryopreservation (vitrification) has over 90% thaw-survival-rate, providing you the option to freeze additional embryos. If you would like to learn more about our unique care, we have created a step-by-step guide to help you understand how to get started and what to expect at every stage of your IVF treatment cycle. Please click bellow. Schedule a consultation today to get started with your customized fertility plan.